As your mayor, Andrew Ginther believes that, working together, we can expand opportunity to every person in every neighborhood. As Andrew Ginther left a community service forum on his daughter’s third birthday, he was deeply moved by a startling statistic – that year, 150 Columbus families would lose a child before his/her first birthday. That night, Andrew resolved to lead the fight against an unacceptable infant mortality crisis. Andrew created the Greater Columbus Infant Mortality Task Force to reduce infant mortality rates 40% by 2020. Under Andrew’s leadership, Columbus is coming together to tackle infant mortality by fighting poverty, improving women’s health, improving reproductive health planning, improving prenatal care for high-risk families, setting the highest standards for perinatal care, reducing smoking, promoting safe sleep, and holding ourselves accountable for results. 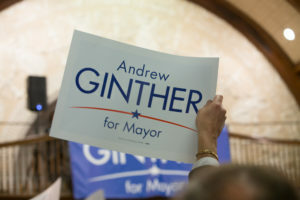 Andrew Ginther created the Comprehensive Neighborhood Safety Strategy to build stronger and safer neighborhoods by policing differently. This comprehensive strategy is working to reduce violent crime in our community. Learn more about the Mayor’s plan today. 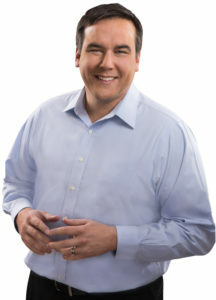 Andrew Ginther helped create and retain thousands of jobs in Columbus. Under his leadership, Columbus has recovered from the Great Recession faster than any other big city in Ohio. Today, Columbus has the lowest unemployment in Ohio and the Midwest, with more people working than any time in the last decade. Mayor Andrew Ginther understands that we need good jobs with fair wages. As mayor, Columbus passed a new plan to require a fair wage — at least $15 per hour — for any job that receives a tax credit from the city. He is also making sure the companies that build our sidewalks and pave our roads have to offer health insurance, retirement benefits, and training for their workers. In fact, more workers have access to insurance, pension, and quality training today because of Andrew Ginther’s leadership.